Flynn Berry is a graduate of the Michener Center for Writers and has been awarded a Yaddo residency. 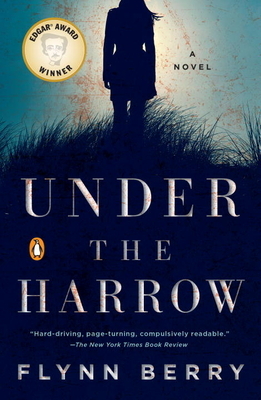 Under the Harrow is her first novel. "A brisk and chilling psychological study about grief, paranoia, and memory; a smart portrait of a complex sibling relationship; and, more than anything, an effective murder mystery...Berry takes some of the big social struggles that have animated the feminist movement and makes them specific and personal, exploring the rippling effects of power imbalances across individual lives. There’s nothing pedantic about the taut, tricky narrative, though. Like solving the whodunit, finding the bigger meaning is simply a matter of paying attention." —The Atlantic, "The Best Books We Read in 2016"
“Flynn Berry's debut novel imbues the classic murder mystery with rich emotional depth, describing Nora's anguish and grief so acutely that the reader feels the emotional impact of her loss as deeply as the desire to know who did it. The result is an investigation not just of the crime but also of the fierce, complicated love that exists between sisters.” —Oprah.com, "Page-Turners You'll Devour in One Sitting"
"A startling whodunnit...haunting, atmospheric, and so very clever." —Dayton Daily News, "Favorite Fiction Titles From 2016"